Ideal stay for short road-trips. Flanked by a lot of restaurants and shopping establishments, Platinum Hotel offers airy and mofestly furnished rooms. The rooms have basic amenities that will make your stay comfortable and relaxed. They are elegantly decorated with white curtains and contrasting bright cushions along with framed paintings hung on the walls. The bathrooms too are well-equipped along with a geyser for chilly weather. The hotel provides parking space for guests. Important facilities provided at the property include free internet service, power backup and elevators. Card payment is also available. 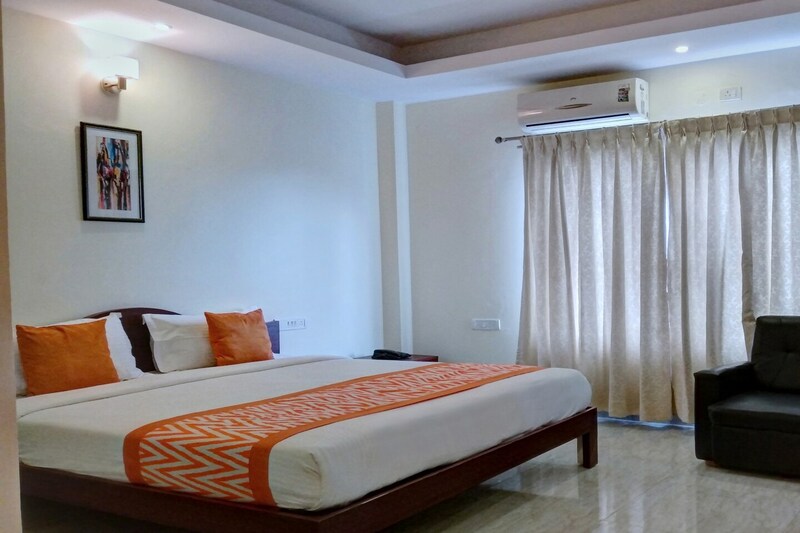 The attractions near to the property are Hal Heritage Centre And Aerospace Museum, Anjanadhari Apartments and Sree Surya Narayana Swamy Temple which are easily accessible due to the prominent location of this hotel.